"My Bakers Box" reviews full of photographs, complete descriptions, discount codes, and more. My Bakers Box is a monthly subscription box that sends you a selection of baking supplies based on a theme, holiday, or season. Includes items such as edible images, sprinkles, cookie cutters, etc. 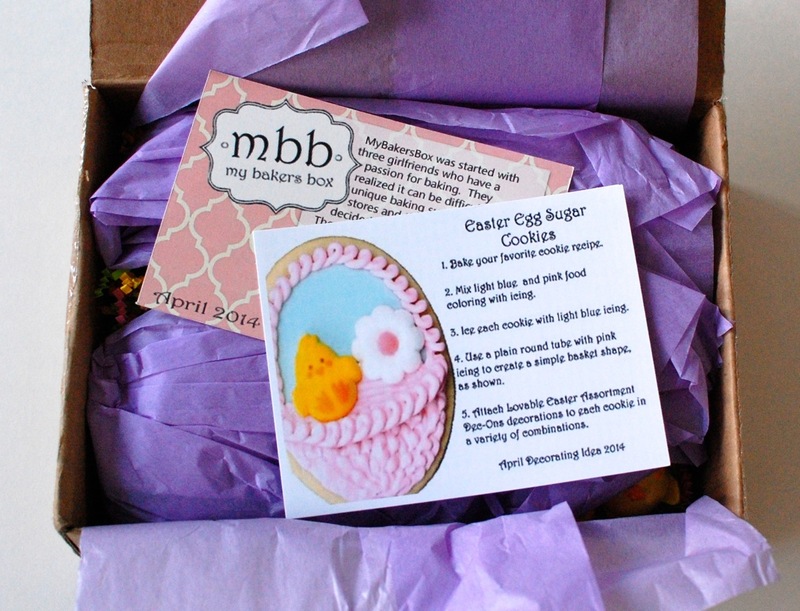 My Bakers Box is a subscription box that sends you a fun selection of baking-related goodies every month. Just thought I’d share the festive cupcakes I made for the occasion using some of the goodies from this month’s My Bakers Box! These are (homemade!) carrot cake cupcakes with store-bought vanilla frosting. This was actually my first time making carrot cake(s) from scratch and I was really pleased/shocked at how well they turned out. I used a basic recipe for vegan carrot cake from “How it all Vegan” by Tanya Barnard and Sarah Kramer. I didn’t tweak it at all, except for going the cupcake route rather than a full-sized cake.